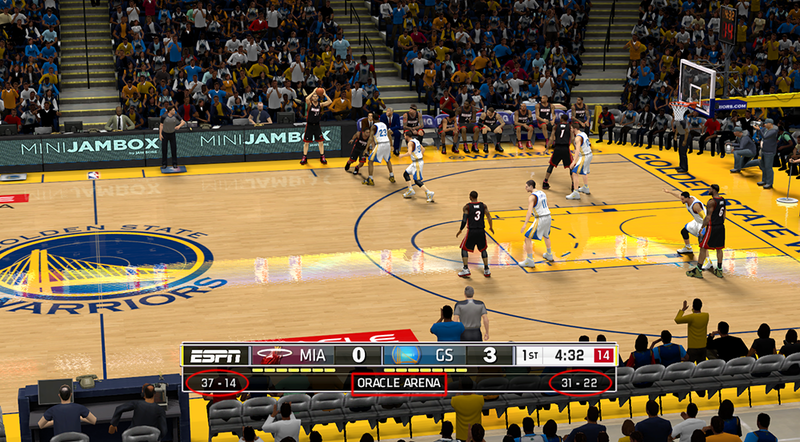 An updated version of the ESPN scoreboard mod for NBA 2K14 PC. Be sure to read the details below to know more about the latest update. - In other game modes (MyCAREER, Association, Playoffs) - It'll display the dynamic season or the playoffs progress at the bottom of the scoreboard. - Exhibition game (Play Now/Quick Game) - It can now display the real current team standings at the bottom part of the ESPN scoreboard. Your game must be connected to the 2K server otherwise it will not appear. - Shows the name of the Home stadium/arena. 1. Download the patch above and extract it using WinRAR. 2. Choose the version that fits your monitor (16x9 or 16x10 resolutions only). 3. Choose between the 2 versions of the scoreboard: Exhibition/Season or Playoffs. 4. Copy the *.iff* files into NBA 2K14 main game directory. 5. Open the ESPN logos and copy all the files (logo###.iff) to main game directory.